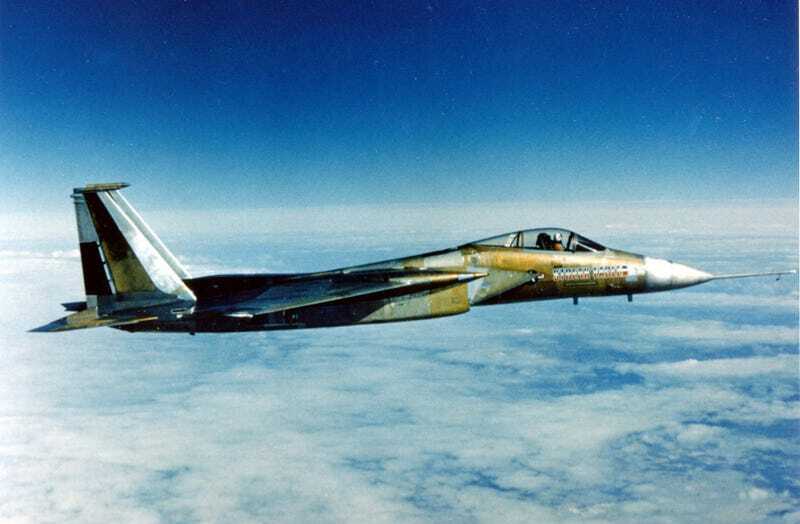 41 years ago on January 17th, an unpainted F-15A stripped of most avionics and in a super clean configuration smashed “time to climb” records who’s top three positions were held by the Soviet MiG 25 Foxbat. Something the Americans did not particularly like. The Streak Eagle was held in place at the end of the runway while hooked up to a hold-back bar, as the pilot applied full afterburner, the explosive bolt detonated, freeing the Eagle to accelerate down the active. Rotating away after only 400 feet of runway, the Streak Eagle pulled into a 80 degree climb while accelerating through the speed of sound, like a homesick angel with her low fuel, and minimal equipment, sporting a thrust to weight ratio of nearly 2:1. At altitudes, the Streak Eagle even beat the climb rate of the Apollo Saturn V Rocket! The highest attempt reached 103,000 feet in altitude, after reaching a speed of Mach 2.2 at a climb angle of 55 degrees. At this altitude, the Streak Eagle’s engines flamed out, but were restarted during the descent phase.